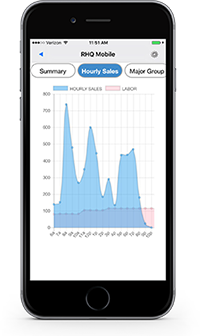 View reports and get front-end data when you want it through an intuitive dashboard. Our hybrid-cloud RHQ system, doesn’t rely on a network server to keep you operating. 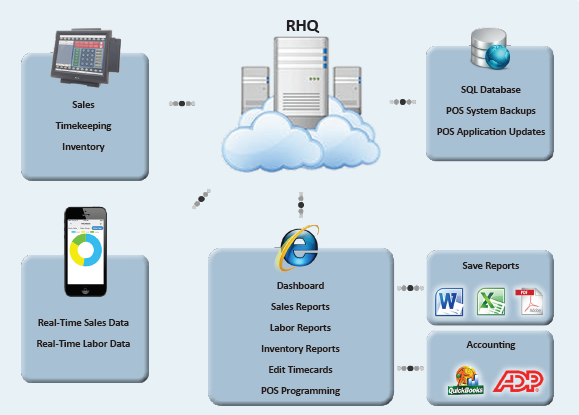 Rather, coupled with Reflection POS®, the RHQ server is set only to send and receive data. Transactions are processed at your choosing, not the network. The POS system runs independently and keeps all sales data stored locally until it can communicate and send information to RHQ. Intermittently throughout the day, at the end of the day or at the end of the week, whichever best fits your needs. RHQ gives the power back to you. Your business benefits from the flexibility of having sales and labor information at the touch of your keyboard, anytime and anywhere. Sales and labor analysis is provided for small management groups or the entire staff. Make price changes at one restaurant or a chain of stores. Your data is stored in a Microsoft secured database and reports are always available through a web client. The system doesn’t require a large infrastructure, only an Internet connection and web browser. RHQ Mobile easily links iOS or Android devices to single or multiple store locations. 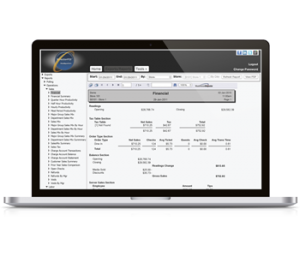 You will have access to valuable and real-time labor and sales comparison data at all times. The RHQ Mobile application is available for use to all registered users of the NCC RHQ Service. The app can be downloaded from the Apple Store or the Google Play Store. If you are not currently using RHQ, contact your Authorized NCC Reseller. Get a free eBook to learn more about the Cloud and the benefits it can provide for your business. Thanks to the RHQ Cloud, You Hold the Power. 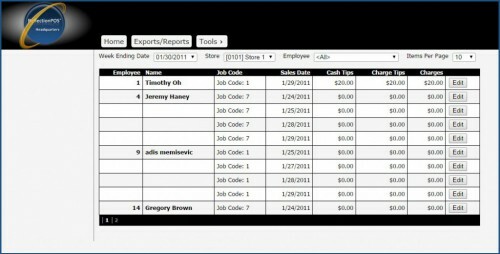 Don’t just involve your business with a cloud system, but put your company above the clouds with a perfect complement to Reflection POS®: NCC’s RHQ web application. Let our knowledgeable and qualified resellers help guide you to the security of cloud storage while restoring faith that your restaurant will go on business as usual without interruptions. Experience the power of our RHQ program firsthand.